Please meet Assa. 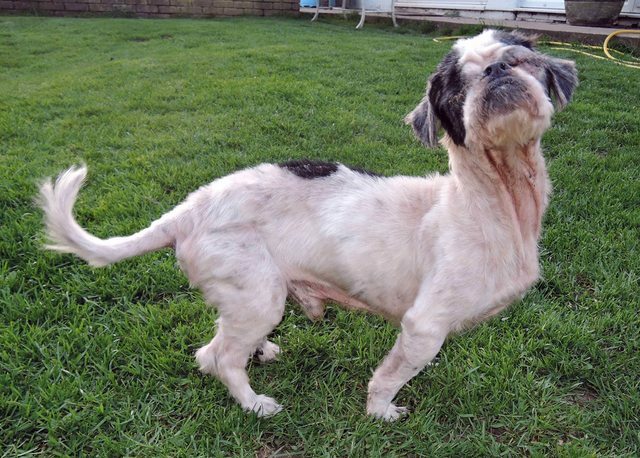 Assa is male Shih Tzu and arrived in a horrific condition as a welfare case. 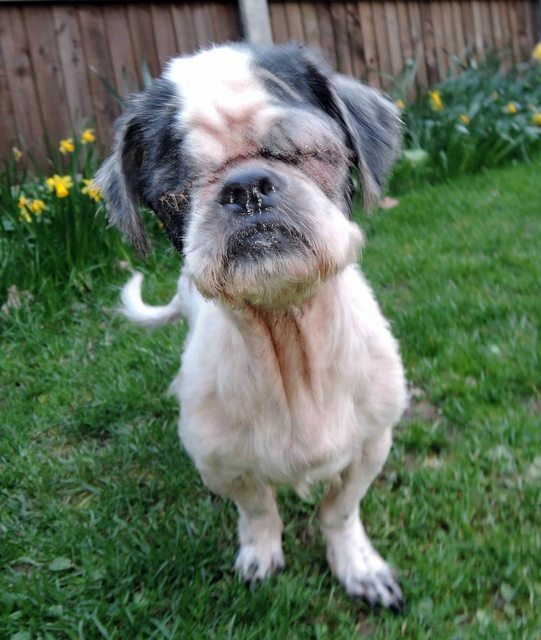 He has been starved, was heavily matted and had untreated ulcers on both eyes which as a result had to be removed. He is approximately 6 years old. Despite being blind, Assa is a happy, friendly boy who quickly learns the lay out of the house. He loves other dogs and would potentially be okay with a cat but not tested. Assa is house trained but will of course need reminding. He has been neutered and is vaccinated and microchipped. Assa enjoys a plod round the garden and is then happy to snooze the day away. His foster family say he is the easiest dog they have ever had!Assa can live with older children but would prefer a quiet and laid back house.